Join our team We are hiring! Mobile is not the future, it is the now. It has become our communications hub, our entertainment portal, our primary source of media, our wallet and our gateway to real-time information tailored to our needs. Join the revolution! It grants more turnovers to be generated from advertising with lower handling and management costs, plus immediate payment. To decrease costs, some online billing processes have been designed which can be fully integrated into your accounting. Huge potential for viral marketing as customers tend to forward messages in groups and transactions can be done 24/7, no limits. Target particular audience groups based on age, profession, gender or any other chosen criteria. Using our online advertising campaigns, our international team of marketers designs, develops and distributes their services to Media buyers, Affiliate and Advertising networks, thus gaining thousands of new subscriptions daily. We work on a CPA (Cost per Acquisition) and CPC (Cost per Click) basis. 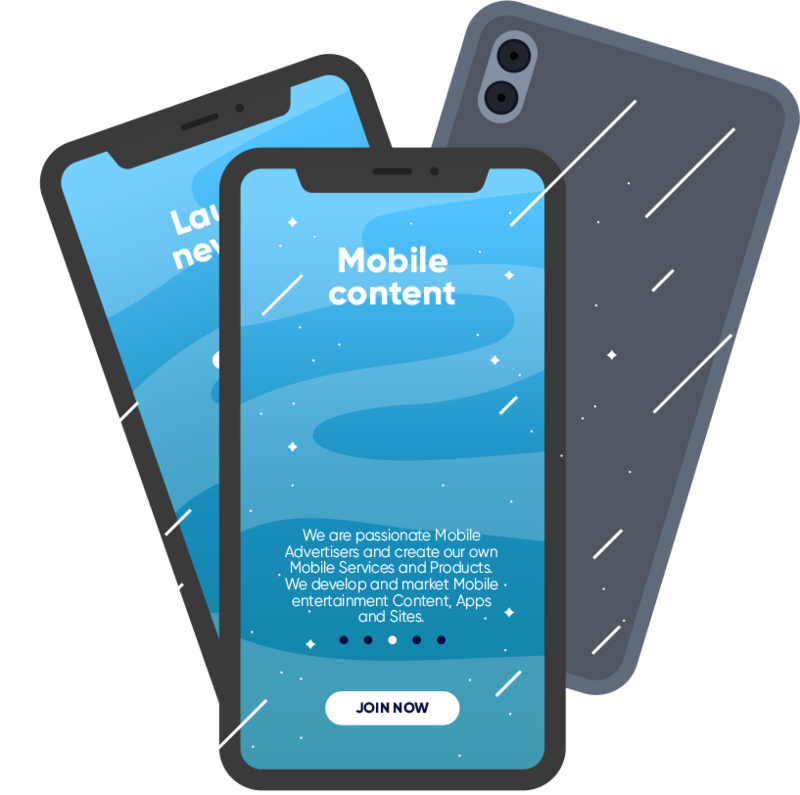 Our team of programmers and designers are committed to developing the best mobile services, products and applications available in the constantly evolving world of mobile technology. Through unique platforms they enable the monitoring and therefore optimization of ongoing campaigns. Mobile billing is being adopted all over the world in different ways, and we are proud to say that our founder was one of the very inventors. 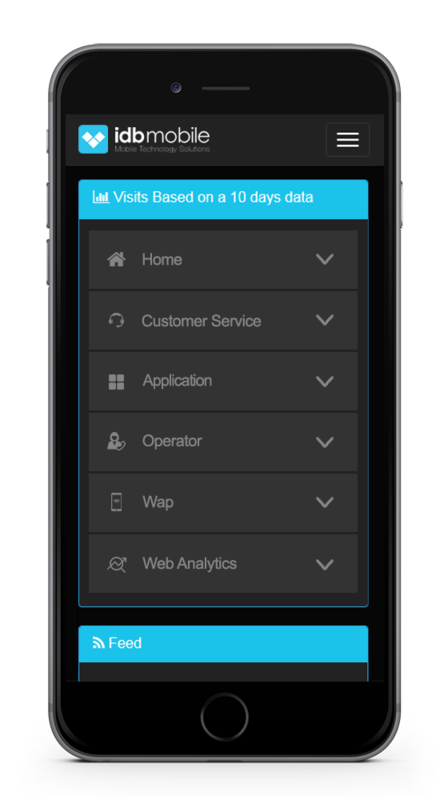 Carrier billing offers the most effortless means to implement micropayments - in a user friendly way it offers mobile billing in developed and developing markets. Our newest technologies and latest versions of software allow us to work at a faster pace whilst remaining very safe. All smartphones and tablets vary in screen size; our skilled team of designers specializes in top design adjusted to any device. We create and provide the best mobile apps worldwide, focusing solely on the needs and requirements of our consumers. Due to our unique platform we are able to follow all actions in real time, facilitating our optimization actions. UX is so much more to us than what you see on the screen and we are committed to make each experience an exciting one. Our expert team will transform your ideas into final projects, with just a few mouse clicks. Over 15 years of experience does it! We use third-party cookies to measure and monitor the activity of the website accessible through the domain name www.idbmobile.com and its subdomains. Cookies policy.